Clara Evans. Pic: Owen Morgan. Welsh endurance athletes will be pounding the streets of Europe over the next week in locations as diverse as Barcelona and Llanelli. Senior Welsh men’s and women’s national teams are being supported by Welsh Athletics to take part in this weekend’s Barcelona Half Marathon and next Thursday’s Armagh International Road Races. Meanwhile, individual elite Welsh athletes will join the massed ranks taking part in the Llanelli Half Marathon this Sunday morning. The eight-strong Welsh team for Barcelona will feature four of the athletes who represented Wales at last October’s Commonwealth Half Marathon Championships. 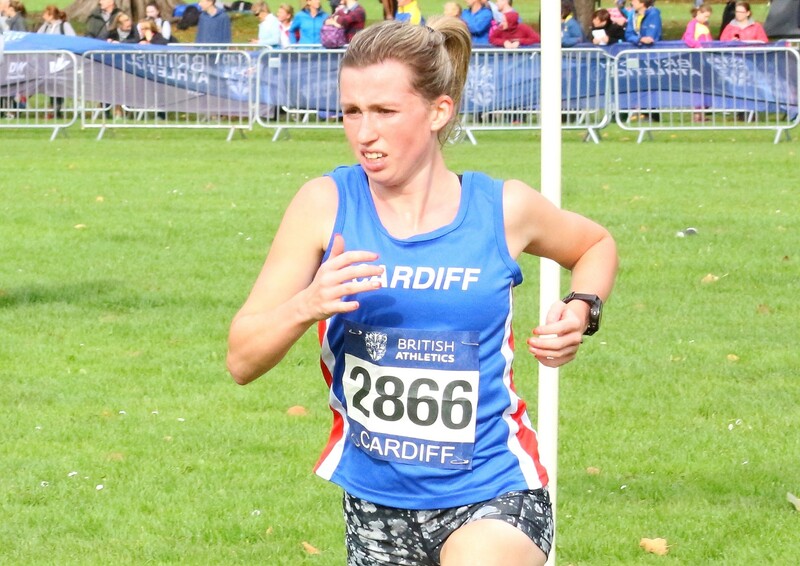 Worcester AC’s Jenny Nesbitt, Cardiff AAC’s Clara Evans and Swansea Harriers duo Jonny Hopkins and Josh Griffiths, will also be joined in Spain by Cardiff AAC’s Charlotte Arter, Swansea Harrier Sian Edwards, Eryri’s Rob Samuel and Stockport AC’s Andy Davies. The Barcelona course is famously fast so should be a good opportunity for the athletes to chase down personal best times. Richie Powell. Pic: Owen Morgan. Sunday morning also sees Llanelli Half Marathon taking place on a fast, flat, scenic course which takes in part of the Millennium Coastal Park. A field of 2,500 runners of all abilities are expected for the race named the UK’s Best Half Marathon (under 5,000 participants) at the 2018 The Running Awards. Welsh Paralympian Richie Powell will become the first wheelchair athlete to take part in the event which was won last year by Cardiff AAC English international athlete Matt Clowes and Wales Commonwealth Games marathon runner Caryl Jones, of Swansea Harriers. Meanwhile, six Welsh athletes will head to Northern Ireland next week to take part in the popular Armagh 5k and 3k Road Races. The Welsh team will be headed by Great Britain European Cross Country Championships representative Kris Jones, along with reigning Welsh Cross Country Champions James Hunt and Bronwen Owen. The line-up is completed by Brighton Phoenix Athlete Beth Kidger, Swansea Harrier Guy Smith and Newport’s Abed Teweldebrhan.